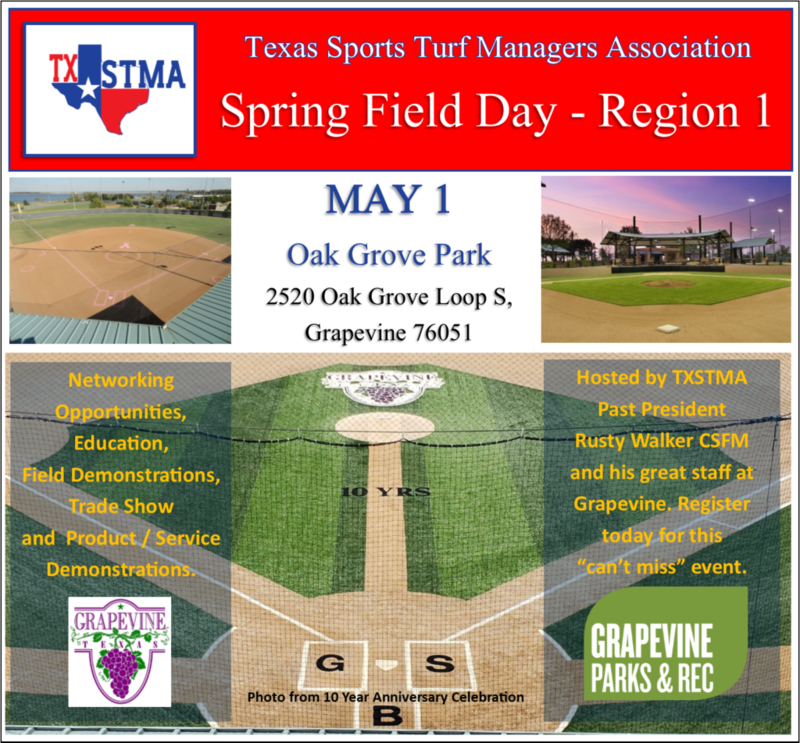 g Field Day hosted by the Houston Parks and Recreation Department. 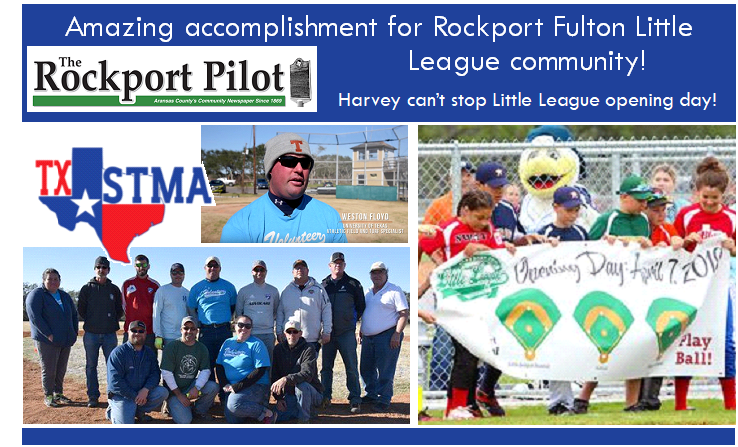 Learn from the professionals who manage this facility. Lots of great networking opportunities with your peers and colleagues. 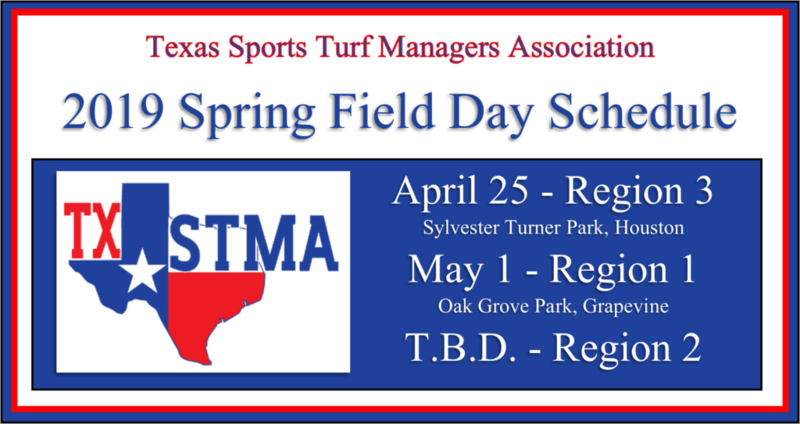 Rusty Walker CSFM and his staff will host the TXSTMA at the Award Winning Oak Grove Park facility in Grapevine. 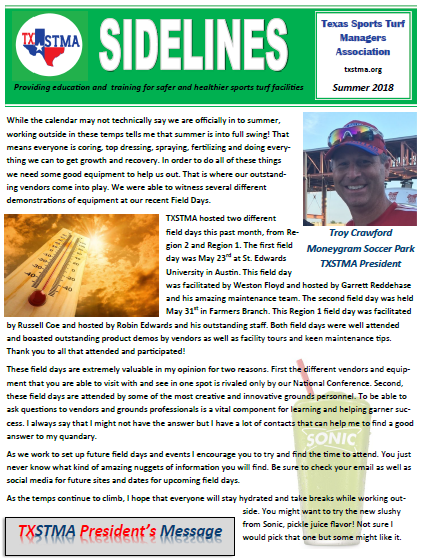 Rusty will provide a tour of the facility and share his tips and techniques. 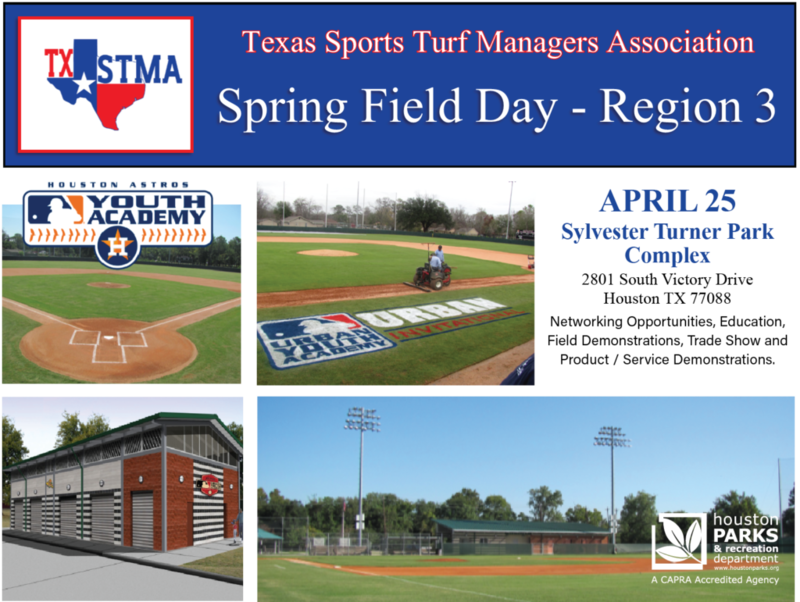 We will also have vendor presentations of the latest products and services available. 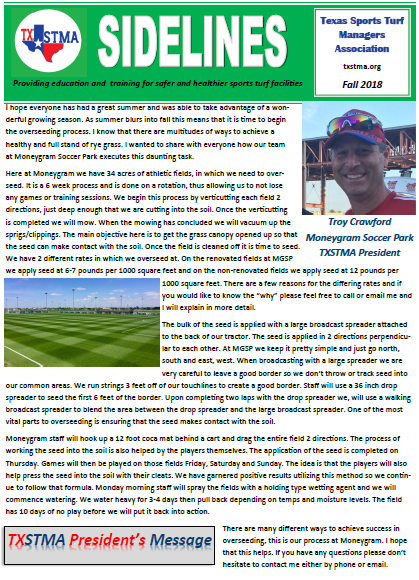 New Texas Agri-Life Extension Turfgrass Specialist Dr. Chrissie Segars will also be a part of our program with a presentation and a preview of a Fall Workshop she is planning for this Fall covering Synthetic and Natural Playing Surfaces. 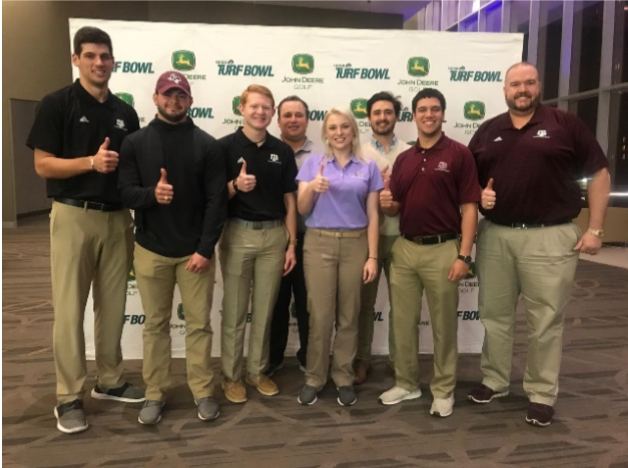 Fall Field Days held in all 3 regions. 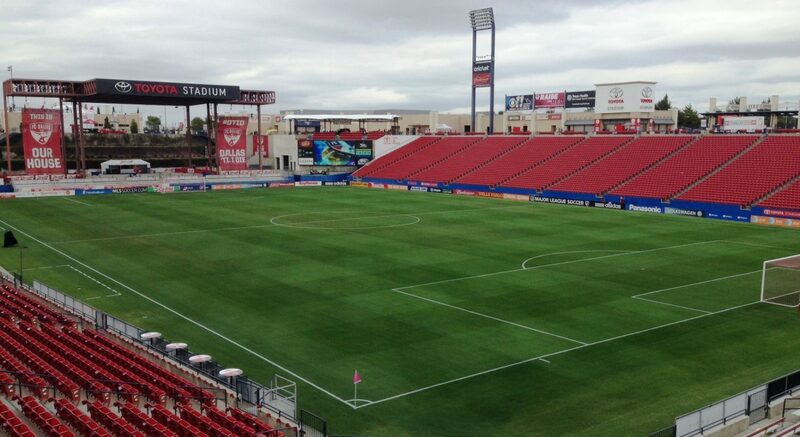 and his staff are doing at Toyota Stadium. news about the upcoming conference! 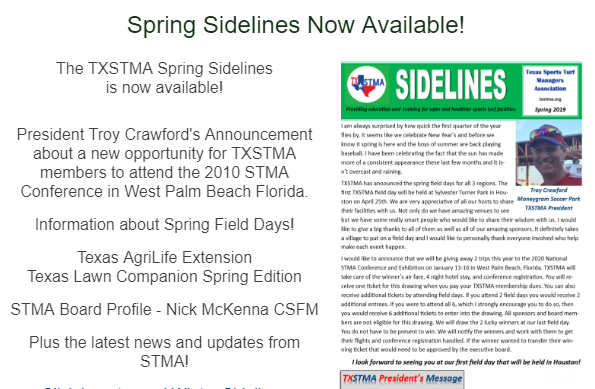 The latest STMA News and much more!